The African Studies Association (ASA) — the foremost membership organization devoted to enhancing the exchange of information about Africa — recently elected its new Board of Directors, and Studley Graduate Program in International Affairs faculty member Sean Jacobs is among them. Jacobs, associate professor of International Affairs, is one of three new board members of the ASA. Boasting nearly 2,000 members worldwide, the ASA “encourages the production and dissemination of knowledge about Africa, past and present,” according to the organization. A native of Cape Town, South Africa who has studied the African continent for decades, Jacobs is the ideal candidate for ASA’s Board. 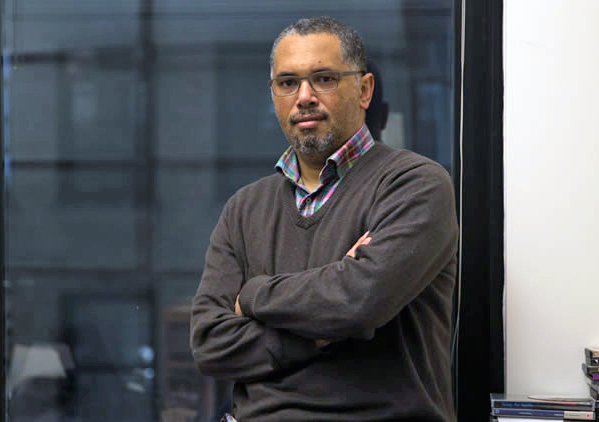 In addition to teaching African Studies at The New School, Jacobs is co-editor of Thabo Mbeki’s World: The Politics and Ideology of the South African President and Shifting Selves: Post-Apartheid Essays on Mass Media, Culture and Identity. He is currently writing a book on the intersection of mass media, globalization and liberal democracy in post-apartheid South Africa. Jacobs first attended an ASA annual meeting as a graduate fellow at The New School for Social Research.